Like so many of my colleagues, I refuse to participate in OIV wine competitions as a matter of principle. 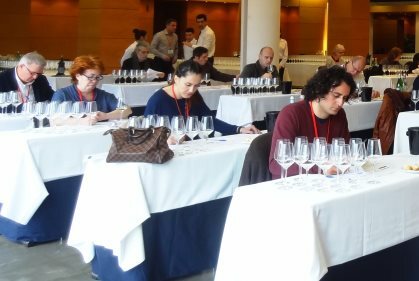 The Organisation Internationale de la Vigne et du Vin (OIV) fulfils many extremely useful roles, but an effective wine judging regime is not one of them. 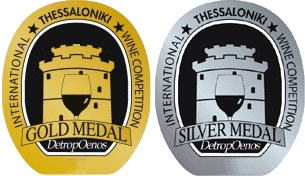 There is one exception to my rule: the OIV-certified Thessaloniki International Wine Competition in Northern Greece. For several years it has been the only OIV judging invitation I will accept. I have sacrificed my principles for both historic and altruistic reasons. I first visited Greece in 1983, when I drove from Oxford to Athens to research Greek wines in situ. On that journey I met a young Vangelis Gerovassiliou, then winemaker at Porto Carras on Sithonia, the central prong of three peninsulas jutting out of the Macedonian mainland. He was making an epic red called Château Carras under the guiding hand of the legendary Emile Peynaud, having studied under the great man in Bordeaux. A couple of years earlier, Gerovassiliou had planted the first vines at his own property in Epanomi, southeast of Thessaloniki, where he would later establish his eponymous winery. His ground-breaking work at Porto Carras and the quality of his Ktima Gerovassiliou wines combined with his humility and willingness to help other was so inspirational to a new generation of Greek winemakers that he is widely regard as the Father of modern Greek wine. When he asked me as the (then) President of the Wine Producers Association to be a judge at the Thessaloniki competition, how could I refuse? Although he no longer has any visible role at that competition, I still feel obliged to accept, particularly when the current president is Stylianos Kechri, another modest man of no small achievement (i.e., bringing newfound respect to Retsina with his wine ‘The Tear of the Pine’). Primarily, however, I accept the invitation to judge at Thessaloniki because I want to keep up the pressure for change. After 15 years, it is self-evident that Thessaloniki can stand on its own two feet as far as organising and running such an event, but what it does not need is the OIV system making a farce of the results. If properly run, this competition could be an annual showcase for the (really) best wines of Greece and I hope the powers-that-be will have the courage to do the right thing before entries open for next year’s competition. OIV’s regime is supposed to be a role model for fairness in blind tasting, employing what its bureaucratic architects believe to be statistically valid scoring. It is a deeply flawed system, that treats wine like a commodity and uses judges like automatons. This wouldn’t be so bad if it worked, but it doesn’t. Judges sit individual tables in a row (right), like children at their desks. They must be “silent and make no gestures or facial expressions,” according to the regulations. Their only contribution is the score they submit via the OIV tasting sheet, as reproduced below. If a judge believes he is tasting a GOOD wine and ticks all the appropriate boxes, it will score just 72 points, which is an utter failure and a whopping eight points short of a lowly Bronze medal. Such a fundamentally low score for the GOOD descriptor forces a judge to score disproportionately high to achieve the medal that he or she believes a wine deserves. However, the scoring band for Bronze and Silver are so narrow (80-81 for Bronze and 82-84 for Silver), it only takes one or two members of a panel of seven to score a point or two higher for a wine to be shunted into a higher medal category. In fact it is extraordinarily difficult to pin a wine down to the ultra-slim two-point band required for a Bronze. It is easier under OIV rules for a wine to win a Silver or nothing, while a Gold has a nice fat seven-point band (85-91) for judges’ scores to fall into. And, of course, every judge spends more time trying to work out which boxes to tick to arrive at his or desired score that the focus becomes mental arithmetic rather than evaluating wine. There are only two methodologies that most judges utilise: either devise templates for each medal and follow those unfailingly whatever the individual merits and demerits of a wine might be, or to constantly scribble out boxes and check lower or higher ones until the desired score is achieved. Some of the medals won at OIV competitions are truly worthy, but I would not like to estimate how many. Another problem is that a significant number of the very best wines fall through the cracks because there is no discussion. Having served at Thessaloniki as a panel president this year, I saw how, wine after wine, we might have achieved more reliable results had we pulled the scores out of hat. No names to embarrass anyone, of course, but of the six judges on my panel, one was a superbly consistent taster and the other five were all over the place, with no consistency between any of them. Every one on my panel was a really nice person. Almost all of them were well qualified and certainly capable of becoming good judges, but within the strictures of OIV they have never had the chance. I would like to think that I was pretty good before I was ever invited to be an international judge, but it was only by judging with, listening to, and learning from the likes of Len Evans, Brian Croser, Tony Jordan, James Halliday et al that I ever reached any semblance of competence. There were times when I wanted to drag my Thessaloniki judges from their desks back to the table and ask some of them why they had scored one of the most beautiful wines so low? Could they not see that whilst the wine had little weight it had great persistence, carrying not just acidity but exquisitely elegant fruit on such a long, tapering finish that it was the epitome of finesse? In the words of Stephen Spurrier at the Decanter World Wine Awards, what more do you expect from a wine of that variety and style before you will give it a gold? Then there were other wines when I would have asked what makes this gold medal worthy?My panel was no worse or better than any of the other panels at Thessaloniki, but averaging such scores is meaningless, which is why OIV recommends the elimination of scores that differ by “more or less than seven points from the average rating”. However, that is just as futile, which is why some competitions like Thessaloniki choose to “top & tail” the high and low scores. A bit better perhaps, but when the “tops & tails” happen to be the scores of the most consistent tasters, a true potential Gold can get nothing, while a run of the mill wine can walk away with a Silver or even a Gold. Furthermore, each wine is not judged by the panel, but by a rotating minority of the least consistent tasters. OIV regulations state that “The sum of all the medals awarded must not exceed 30% of the total of samples presented at the competition. If this percentage is exceeded, the samples that obtained the lowest score are eliminated.” At Thessaloniki in 2015 there were so many medals awarded that the threshold for Gold was moved up from 85 to 86, the downgraded Golds were reclassified as Silver, and almost all the original Silvers (those averaging 84 or less) and every one of the Bronze medals were eliminated. I’m not a fan of Bronze medal wines, but Silvers are exciting and true Golds should be outstanding. If Silver and Gold medals are well judged (and that’s a big if at an OIV competition), it is wrong to demote some of them. Either a wine deserves a medal or it does not. You cannot rely on one panel’s 85 points being the same as another panel’s 85 points, particularly in a competition where individuals on the same panel do not agree in the first place. Applying a 30% limit is artificial: an attempt to paper over the cracks in OIV’s crumbling competition structure. Yet another weakness in the OIV judging regime is its concept of a Grand Gold (92-100 points). It is foolish to expect even the most accomplished judges to award a superior Gold in isolation, and the term “Grand Gold” merely diminishes the value of a “Gold” medal. The only way to preserve the prestige of a Gold medal is to award one-off trophies, not medals, by lining-up all the Gold medal wines of any particular style so that the Best-in-Class stands out. At the same time, should any wines not stand shoulder-to-shoulder with the other Golds, whether by inconsistency from panel to panel or within a single panel, they can be demoted. That is the only legitimate way to rob a wine of a medal it has already been awarded. This is not rocket science: it’s basic wine judging 101. 1. A world famous Competition President to be appointed on a rotating basis. 2. Drop “International” from the title and confine the competition to wines from Greece (or Greece and Cyprus). Less than 10% of the entries are from other countries and they contribute nothing to the reputation or meaning of the competition. They distract from what should be a showcase for Greek wines and are of little interest to visiting judges, who mostly want as much experience of Greek wines as possible. The competition should use this all-Greek focus coupled with a fairer judging system and greater international recognition to encourage the best of those Greek producers who have always refused to enter the old competition. 3. Expand the Greek Varietal Seminar into a two-day School of Greek Wine, involving intensive masterclasses devoted to the most important Greek varieties. 4. Reduce the size of the panels, bring in experienced non-OIV judges to chair each panel, judge in silence, but discuss every wine to arrive at a consensus. 5. Drop Grand Gold and give Bronze, Silver and Gold proper and equal scoring bands. 6. Add scoring bands for sub-Bronze wines that are technically correct and a barrier beneath which a wine must have an identifiable fault to achieve such a score. 7. Institute taste-offs of golds for Best-in-Class of all major varietal and other styles. 8. Consider the possibility of having non-wine sponsors for individual Best-in-Class trophies (wineries and consumers would love, for examples, Best Greek Xinomavro, sponsors would benefit from the exposure, and the competition would benefit from the additional finance). 9. All clear bottles received by the competition should be double-bagged in black plastic immediate upon receipt to avoid DMD. 10. Use one panel to shadow the entire competition one tasting behind, retasting all Bronze and lower wines against a second bottle to see if there is any difference. Some faults (not just TCS) can be subliminal, with only the effect (scalping in the case of TCA) being evident. Another panel should then judge any bottles that are found to be different. 11. Offer a service to the producers of all Gold medal wines (these being true Gold medals) who are not exporting, but are seeking importers, to pour their wines at major shows (ProWein etc.). This will also serve to promote the Thessaloniki competition itself. 12. Do all of this before Athens sets up a rival competition because the Greek wine industry cannot support two competing competitions at this juncture and it will be the death of one or both. I have nothing against the other functions of OIV, and certainly nothing against the people who belong to OIV. The OIV representative at Thessaloniki, Guido Baldeschi, is a lovely guy who tastes well and has a great sense of humour. It is just OIV’s competition rules that I and many others object to.